Cal Sat Miquel is a comfortable cottage/farmhouse that is rented as a holiday home and is unique due to its characteristics and location: next to the Montserrat Natural Park and close to Barcelona. 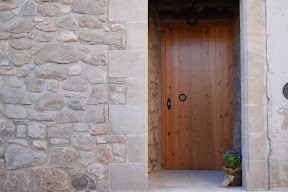 The uniqueness of the construction of Masia Cal Sant Miquel allows you to lease only the main house or the whole property as a holiday home or temporary residence near Barcelona for stays of medium duration. In any case the option that best suits your needs will make you enjoy the environment and the well-being of the nature of Montserrat Natural Park, and an extraordinary tranquility. From here you can discover and enjoy Barcelona, but also the Mediterranean coast and the interior of Catalonia and its pleasures. Our accommodation offers a nice comfort and quality close to Barcelona. It is an space designed to spend a vacation with family and friends, or for professionals who need a temporary place to stay and at the same time want to enjoy a lifestyle in nature. The holiday home of Cal Bubaré is located at the Lluçanés area, is an old house in the village of Sant Feliu Sasserra, where you can enjoy the tranquility and share your time with the family. Cal Bubaré is very close to the city of Vic, Berga, and the area of “la Cerdanya” at the Pyrenees, so you can visit these places along your staying. This holiday home at St. Feliu Sasserra is a place where a family can return to enjoy the summer with the bikes, going to buy to the shops on foot from the house and greet the neighbors. It is a place where kids can still keep playing in the street and at the local swimming pool. Cal Sant Miquel farming project is based on a basic and firm principle: the Montserrat natural park nature preservation through its coexistence with men. For this reason Holiday home Barcelona cottage combines rural accommodation with other sustainable projects such as livestock. 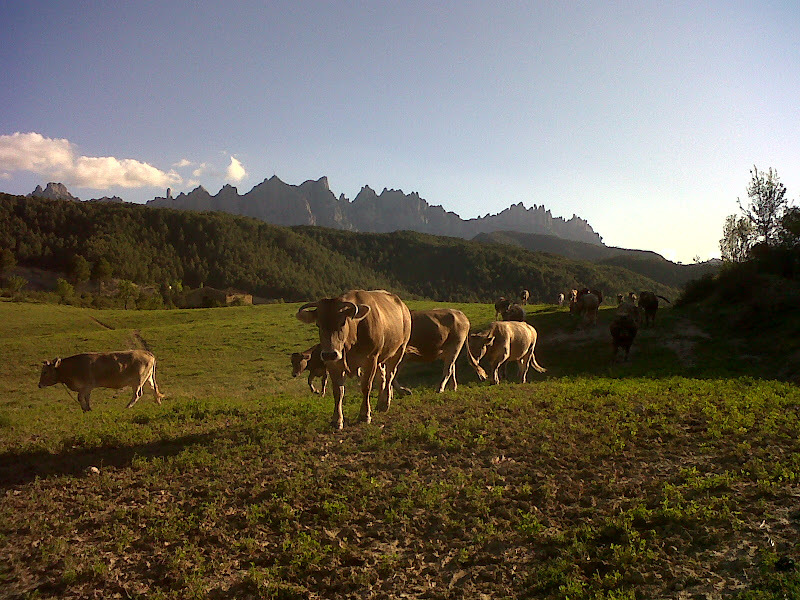 The Cal Sant Miquel livestock farm combines the typically mediterranean forests of Montserrat natural park with forage grass. Our herd is mainly cows and we do extensive ranching. In the process of raising, the calf lives with the mother during the suckling period. At Cal Sant Miquel we also breed organic black chickens from Penedes: they live in freedom and we move the henhouse from time to time to make them benefit always the fresh grass. Cookery at Cal Sant Miquel cottage, your holiday home in Barcelona, is designed to have a good time with friends and family, business meetings, tastings, cooking courses, etc. Lovers of gastronomy will find a comfortable and excellent space for cooking, it is designed to cook in groups and with a dinning room with a capacity up to 12 people. At Holiday home Barcelona we give you the opportunity to share the experience and feel the sensations you get by cooking. We have all the necessary and best equipment for all the recipes you wish. Our cookery space differs from other places because it is in the countryside, 30 minutes from Barcelona in the incomparable setting of the Montserrat natural park, and because you have the chance to spend more time or even stay in a cottage / farmhouse.